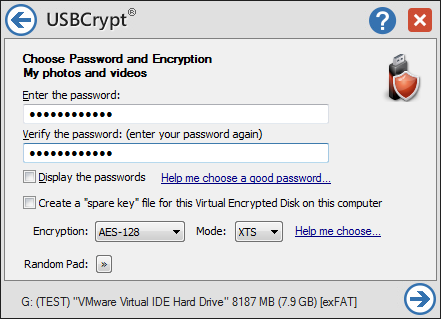 With USBCrypt® software, you can create a secure storage area on your flash or other removable or regular drive (such as USB, SATA, etc), and store your files there. If someone gets hold of such a drive, they won't be able to get your files without your password. Not CIA, not FBI, not even NSA.